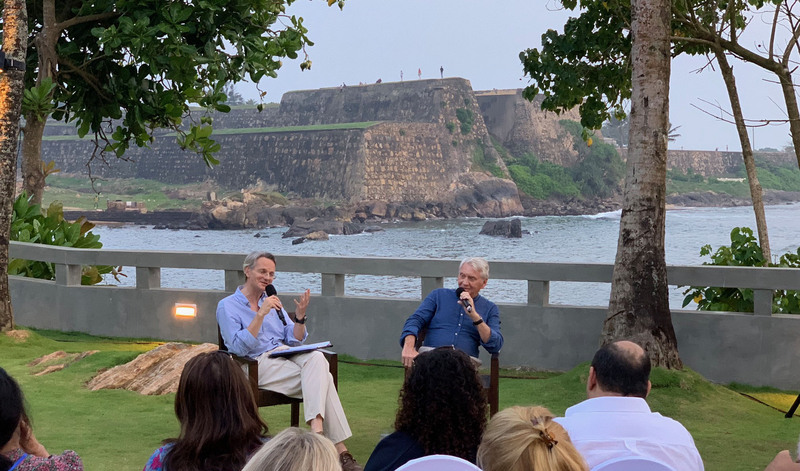 The Le Grand Hotel in Galle was selected as the venue of choice to host legendary photographer Sir Donald McCullin at a literary salon titled ‘Landscapes at Sunset,’ on 19 January 2019. The intimate event was attended by invitees, members of the press, and guests with a special interest in the topic and speaker, as part of the diverse programme for the 10th anniversary of the Fairway Galle Literature Festival (FGLF). Having witnessed through his lens some of the most harrowing global wars and disasters through a career spanning over the course of half a century, British photojournalist -and one of history’s greatest war photographers- Donald McCullin is no stranger to urban conflict. His dedication to documenting stories of war has taken him from the Vietnam War to the Lebanese Civil War, from being imprisoned by the Idi Amin regime in Uganda to contracting cerebral malaria in West Africa. Sir Donald McCullin, CBE, Hon FRPS, has since been the recipient (twice) of Premier Awards from the World Press Photo Foundation and received the Cornell Cape Award for Lifetime Achievement. Named Master of Photography at 2016’s Photo London Fair, in 2017 he became a Knight of the Realm, the second photographer (after Cecil Beaton) to have been given such an honour. At the literary salon however, McCullin chose to take a step back from military coups and gunshots to focus on the subject of landscape photography, his most recent publication being a stunning collection of iconic landscape photographs. It is this ability to put to use the same unerring eye in capturing striking and unusual imagery of such conflicting themes that has made him the much-lauded photographer he is today.